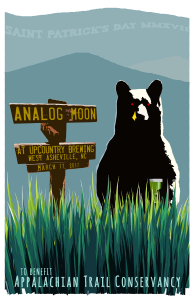 Join us at UpCountry Brewing in West Asheville on March 17th for Saint Patrick’s UpCountry to raise awareness for Appalachian Trail Conservancy. 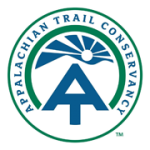 Proceeds will aid the ATC in their mission to preserve and manage the Appalachian Trail. Representatives from ATC will be available to answer questions and provide information about their mission and how you can get involved in helping to protect one of our nation’s most treasured outdoor spaces. Analog Moon will be performing a set around 9:00 PM. For updates, RSVP to the Facebook event below.